The Dreamer & The Dream Album Release Show!!! There is nothing like finally encountering the puzzle piece that connects a litany of vexing symptoms — and points to the promise of a solution. 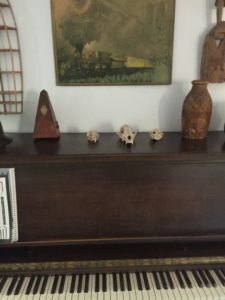 Where can I find a piano, and for how long? In April I moved out of my studio in the SE industrial district of Portland, an idyllic situation where I shared zero walls with neighbors, where I could more or less play whenever I felt like it. That building used to house La Luna, a venue of the Portland of old, where I saw Fiona Apple (among others) play in the 90s. The building has that sort of spooky, Old Portland energy, despite the increasing presence of condos and New Portland everywhere. (A few years back the space was included in a piece on Portland practice spaces in 1859 magazine). But the really amazing thing about that studio was that I was able to fit my 7′ grand piano in there. If you have visited my blog before you may recall that a while back I was fortunate enough to acquire a totally killer 100+ year old Baldwin vintage grand piano. I went into mighty debt to obtain it (recently paid that off and it felt great). That piano really has my heart–like instant, love-at-first-sound, magic-of-music, to-be-wed-forever, heart. The Baldwin was part of many house shows and piano-focused soirees. Two piano technicians sang its praises as one of their top 10 pianos–EVER. 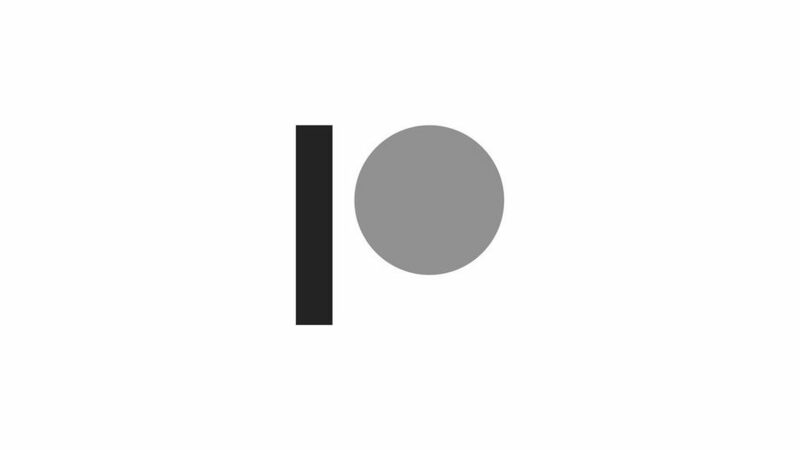 Having a high quality instrument you really, really love is like having a therapeutic biofeedback machine in your living room; you input your thoughts and emotions and experiences into sound shapes, and they get fed back to you as highly-refined musical energy. It’s like taking high quality vitamins. Or getting lots of hugs. And now I am living without. I literally spent an entire 60-minute therapy session processing and crying about living without that piano. A wonderful old clunker at my friends’ Bear and Anthony’s in the Columbia River Gorge. 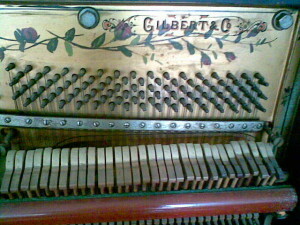 This is the piano Anthony’s grandmother taught lessons on for many decades. After leaving the studio I moved through various temporary arrangements, one for a month, one for a week, and the current one for four months, with the final goal of moving to NYC at the end of the summer. 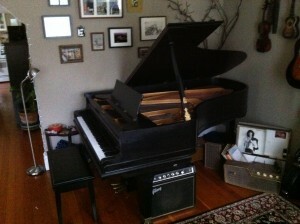 During my last slow goodbye to Portland, friends have been generous with their pianos. I’ve played an old upright out in the Gorge at the Hobbit House, and friends at the Pink Palace shared their tired old gal donated by Piano Push Play. My new routine has helped me realize that while it is good to create a private, focused environment for music practice, there is also something good about learning to adapt, musically and otherwise, to different situations. Like a band tracking drum parts downstairs; a toddler running back and forth and seeming to stomp very deliberately directly above me from the upstairs apartment; an electric bassist practicing in another room while I make do with a piano with no music desk and a broken key cover; and an alarmed cat staring directly at me from another room for the entire two hours that I was playing. (It was highly distracting). All of this auditory distraction is especially important to learn to deal with considering that I’m moving to NYC! As much as any technical skill, adaptability is paramount as a pianist. When you’re locked away in your apartment with a dream piano all the time, your playing is more easily thrown off by a nice-but-quirky piano at a venue or rehearsal (and pretty much every piano at any venue is nice-but-quirky). As my classical pianist aunt Julie always says, regularly playing different pianos is “part of the tradition.” As an example of extreme adaptability, my friend Thollem McDonas does not “live” anywhere, as he’s literally always on the road, and he maintains a regular piano practice nonetheless. “Everywhere becomes home,” he said, and every piano is just part of adapting your overall self to each situation. The mobile Zen pianist. For me, the borrow-a-piano routine is a bit too irregular for getting much real work done, so the type of practice I’ve been doing on Other People’s Pianos is more maintenance mode–just keeping alive what I have already written, and making sure to fit in some sight-reading. On a day when I have extra time, I do some improvising, and maybe gather some ideas for composing. Also, when you have to go without, you make do with alternatives. When I was such a junkie for the loud, emotionally intense feedback of my acoustic piano, I didn’t have much reason to spend time with my Nord 73. But over the past few months I’ve come to appreciate all the fun things I can do with pedals and effects; I went in a new direction with a song I would have otherwise recorded as an acoustic piano tune, because the keyboard was the only thing available to me. At the Pink Palace in NE Portland, a baby grand donated by Piano. Push. Play. I don’t know what the future holds for my Baldwin piano. Space is of course ridiculously limited in New York City, and a 7’x5′ grand definitely won’t be fitting in the one bedroom apartment I’ll be sharing with another musician. But there is a chance that through a piano technician friend I can luck out on a cheap shipping deal. If I do, I’m hoping to find a school, venue, church, or private residence where a piano would be welcome, and where I could also come practice. A mutually-beneficial piano-sharing scenario. Better that than having it wrapped in blankets and going unused in a warehouse. 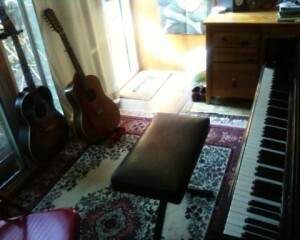 But for now, I’ve got a keyboard, and Other People’s Pianos, to keep me going. If you have any leads on available pianos in the NYC area, please message me in the comments or through the contact form! It is an understatement to say that I am a lifelong fan. Maybe devotee, reverent student. 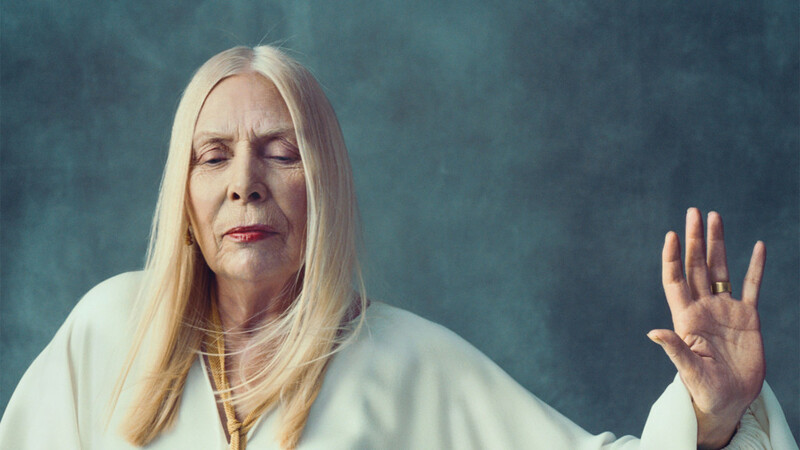 At twelve years old, I discovered “Blue” and “Song to a Seagull” in my mom’s box of old records, and ever since Joni Mitchell has been like a family member to me, the High Priestess presiding over my dawning musicianship from the very beginning. Hearing of Joni’s health in jeopardy earlier this week made me realize that the long-dreaded day that Joni is not in the world any longer is getting closer. It feels much like when I finally started realizing my maternal grandmother was not going to live forever: I understand it intellectually, that no one lives forever, but my heart seizes in objection nonetheless. I still remember when I first heard “A Case of You.” I had started learning guitar earlier that year, but when I tried learning a few of Joni’s songs, it turned out the “Blue” songbook in our piano bench was only reductions with oversimplified chord progressions, and it didn’t sound right. I went to the music store and left with the Joni Mitchell Anthology, and from there I discovered altered tunings. 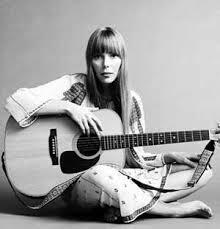 If not for Joni and her exotic tunings, I probably wouldn’t have become a guitarist, maybe wouldn’t have even kept going with music. Though she was often critiqued for veering towards jazz later in her career, she actually grew up on jazz (see Herbie Hancock’s book Possibilities for a great story on their collaborations, or check out her collaboration with Charles Mingus: Mingus). Though Joni was drawn to folk music to showcase her lyrics, deep down, she was always a jazzer in her harmonic sensibility and her forms. Of course I had no idea about any of this as an angstful preteen writing bad poetry; I just knew I heard something in her music that felt true to me, and I had to follow it. That feeling propelled me down musty thrift store aisles, pawing through bins of old records trying to find all her other albums. It wasn’t only the musical aspect, of course; it was also the visceral and visual spectacle of her lyrics, which gave an intriguing glimpse into a grown woman’s love affairs, independence, politics, opinions, and struggles–not something that is often represented with much accuracy or intelligence in much of popular culture, even today. Through her sound and her words, Joni introduced me to a different universe entirely; it was like getting the keys to explore who I was and come into my own being, something beyond the uncomfortable beginnings of adolescence, the oppressive regime of junior high, the turbulence of my family. I didn’t have language around it at the time to know what to call it, but now I look back and realize this was the beginning of my experience of the interiority of the soul, through poetry and music. As a newbie guitarist, this new allegiance to alternate tunings also put me in a weird place amongst my friends who played guitar, as it was much harder for me to “jam” or pluck out chord progressions in altered tunings. Or, I wasn’t very interested in doing that anyway. Changing the tuning of the strings beyond their normal tension makes the guitar more fragile, and I was always weary of retuning the Ovation electric/acoustic my dad bought me for my 11th birthday too often. But the loss of the social communion and the extra instrument maintenance seemed worth it, as I got so much emotional solace and intellectual stimulation through exploring all those different sonorities. Today when I look back at those songs–“Michael From Mountains,” “Cactus Tree,” “Both Sides Now,” “For the Roses” (it’s too long a list)–I see how this entire musical vocabulary was internalized into my playing and my eventual songwriting. Aside from my dad, I have always thought of Joni as the only guitar teacher I ever had. Over the years I’ve heard many opinions as to why Joni hasn’t received the place in history she deserves as a musical giant: her chords are too complex, so the average musician has a harder time covering her and her songbook thus remains less familiar; she gave up a baby for adoption to pursue an artistic career (a no-no for women, especially back then); her jazz and folk affiliations have meant her music is appreciated more by audiences that are African-American and/or female, an audience demographic that doesn’t have much influence on the (mostly white, male) rock critics and their often narrow lens on music culture. As writer Linda Grant theorized more recently, Joni suffers from a more introverted, quietly reverent kind of fanbase, so she didn’t have these legions of fans following her around the country like the Dead or canonizing her every performance and every artistic incarnation like Dylan. Too, like her jazz friend Charles Mingus, Joni has always had a bit more prickle to her personality. Too, though she has serious technical chops, Joni’s music is not about the chops for their own sake, the playing fast and hard and Wow-look-at-me. Hers is a less showy, more intellectual type of musicianship, a different but equal kind of mastery. Though often undersold as an influence on only female singer-songwriters who look the part or sound distantly similar, she is actually in everybody’s musical DNA, her Laurel Canyon male folkie and rocker contemporaries included. Joni has been in the press more recently, starting with a New York magazine article where she discusses how she is trying to fix her legacy after decades of an understandably bitter relationship with the music press. Even though Joni has always maintained she’s not a feminist, (“I’m just looking for equality, not to dominate“) her fight against invisibility and male-defined descriptions of her music is an undeniably feminist one. But either way, with the recent health scare and the resulting social media outpouring of love and appreciation (WeLoveYouJoni), maybe now she is finally getting a taste of the recognition she has long deserved. 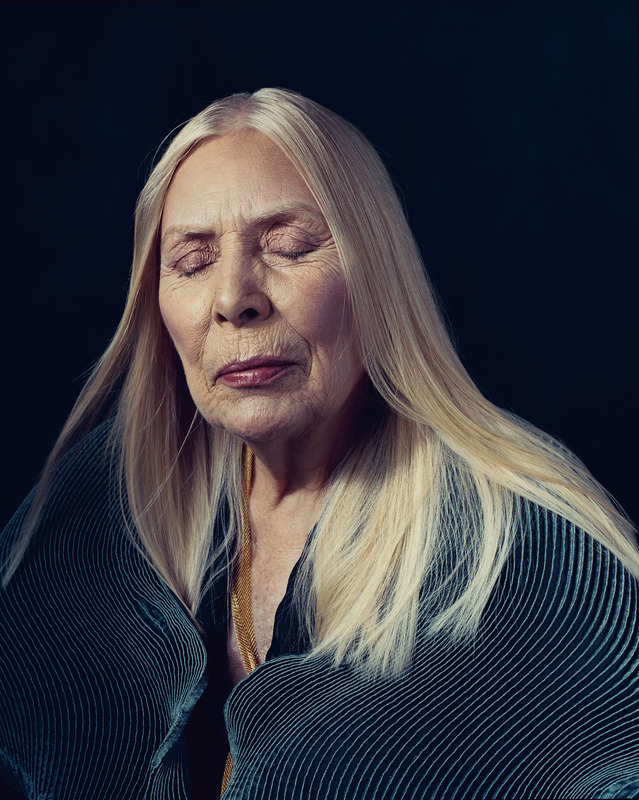 Regardless of the attention she receives on a mass culture level or not, Joni is a matriarch of the spirit, a goddess of the intellect and the soul, a preserver of the independent self in a culture that too often undermines authentic expression. In my life I have loved many a piano. 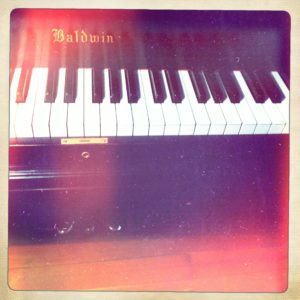 But none so much as the vintage Baldwin grand I met and became betrothed to about six years ago. And like shorter term relationships that “prepare” you for a more significant investment, there were many educational pianos along the way before I found her. There were the pianos I grew up playing; a Baldwin spinet with a squeaky, orange velvet-covered bench, and later, a Krakauer baby grand that my mom inherited after my grandfather passed away. 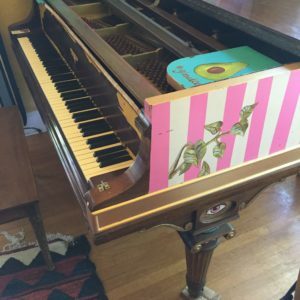 It was the piano my mom and her sister grew up playing, and after being shipped across the country, the movers had to haul the piano–legs removed, kidney-shaped body wrapped in quilted blankets–all the way up the sharp incline of our driveway, an ordeal that took an entire afternoon. Once it was inside I couldn’t stop playing it. The roommate who came with me to each new apartment, along with my cat. Then there was my first piano of my very own, an old grand upright with ornately carved legs, rose vines hand-painted on the interior soundboard, and enough chips in its surface you could see decades of past paint colors. (Honeydew green was the most interesting shade that peeked out; I’ve always wondered what it would feel like to have a melon green piano in the living room with me). After that, I had a Wurlitzer spinet around for a while, with a sound as loud and metallic as a brass band. (I sold that one to a piano student). Then, I replaced it with an electric piano with settings for historical tunings (interesting and useful for a time because I’m drawn to microtonality, but that board, too, was ultimately also sold to yet another student). Thus I was back to my upright, which was showing its years with each move into every humidity-variable room or basement apartment I asked it to survive in. 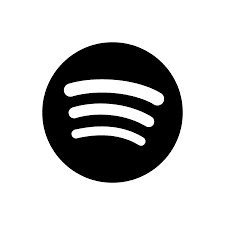 In the backdrop of all these temporary fixes, I had other fleeting loves. On the second floor of the piano store where I used to teach lessons, I would take advantage of breaks between students to get away from the studio keyboard and practice on the three rooms of used for sale pianos. It was vintage pianos wall to wall, row after row, like aging maidens waiting to be asked to dance. 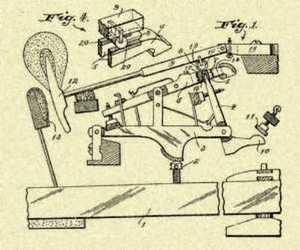 There were the many Steinway uprights, which almost always had a red SOLD tag on them, and notes about the final work to be completed before they were to be shipped to their new owner. And the regal, crystalline tone of the Chickering grands, or the perfectly even action and balanced sound of the Yamahas. My studio where I taught piano lessons and practiced and composed, with the Chickering console. These were all out of my price range, so for my home studio piano, I found a black Chickering console with unusually high pedals, which I always had to wear heels to play; it made me feel like Tori Amos. But like my previous spinets and consoles, I needed something better for regular practice and composing. A 1912 Baldwin 7′ grand piano. An oldie but goodie. The first few decades of the 20th century was the best era for the Baldwin piano company, with a sound like nothing else I had played; a symphony in a case. The first day I found her, in a shop called the Piano Technology School for the Blind, in Vancouver, Washington, I just sat there, smitten. Sure, she had some prominent scratches and nicks on her case, including many tiny, weird etchings into the wood above the keys. I imagined a Liberace type with fistfuls of ruby- and emerald-encrusted gold rings, scratching away at the wood on the key cover over the years. But for me, the point wasn’t to have a perfectly smooth, glossy case; it’ was the sound. I was so mesmerized by the sound, in fact, that I didn’t pause long enough notice the Baldwin’s considerable quirks. She had suffered a hard couple of decades in her century of longevity: partial refurbishings, objects being dropped or slammed on the keys, parts warping, and the general malaise of never being in any one technicians’ care for long enough to get a full refurbishing. But I was swept away by her sound. I sat there on the bench, in a Glenn Gould hunch, face close to the keys, playing one at a time, mesmerized by the gradually, softly decaying overtones. But the Baldwin’s actual playability was another matter. For a while, I couldn’t practice for more than twenty minutes without my arms getting sore. I was also worried about the impact on my technique because the piano had such limited aftertouch and heavy key weight. Even finding a piano technician who was willing to work on this old gal was a process; in fact, one practically hang up on me when I told her I had a partially-refurbished grand piano on my hands. “I don’t touch a grand piano that’s had unknown hands working on it,” she said flatly. Piano action. Grand pianos have between 15,000 and 20,000 moving parts. Finally, I found master piano technician John Rhodes. He was passionate about pianists having good instruments to play, and keeping the tradition of quality, acoustic pianos alive–he felt so strongly, in fact, that he was willing to donate his time to come by and do an assessment to figure out exactly what was wrong. He came over to my house and we ate cupcakes and talked about cats and pianos and pianists all afternoon. John said he would take on the project–pro bono, all I would have to pay for was parts–but it would mean the piano would need to be in his shop for a while, and he wouldn’t be able to promise a completion date. During a nearly year-long field trip away from home, the Baldwin’s action was lovingly, meticulously reworked. John kept extensive records on each stage of the entire process. Upon returning home the Baldwin was definitely in a much-improved state, but even with all that work, there remained the final leg of the restoration: regulation. I had to wait yet again until it was in the budget, and in the stars, to have it done. Then, on a soggy Portland night in October 2013, after a Piano. Push. Play. event, under the eaves of the smoky outdoor patio at Roadside Attraction on SE 12th St., I met piano technician Alvin Alghrim. After hearing about my piano Alvin said he had to come “meet” it, and after playing it once, he, like most people, fell in love with it too and proclaimed it one of his favorite pianos. He said he wanted to work on it. Le grande dame of my living room. I’M IN PIANO HEAVEN. I didn’t realize that one of the bonuses of a regulation job is that it actually improves the sound, too. (As if the old girl’s sound could get any better). At times I am a little bewildered to have such a special instrument, just sitting there waiting to be played, in my daily life. Lest I forget how lucky I am after this long journey, I am reminded by each pianist who comes over and gets to share in this special little slice of acoustical heaven, as they sit down and play and gaze off into dreamland. I remember an opera singer friend once told me that every singer has to go through some type of profound illness that prevents them from singing for a while; it’s part of the spiritual journey of opening up your voice. Maybe instrumentalists go through a similar thing, that manifests in our instruments? At any rate, the journey of getting to know and rework an old instrument yields just as much as the attainment of the improved working instrument itself, as through that process we develop an appreciation for sound, how it works, and come to better understand how we respond to it. The oldie-but-goodie instruments might be a bit work, but they are most definitely worth the trouble. 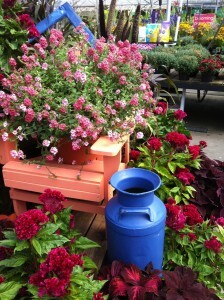 Summer display of Diascia, Celosia, Coleus, and ornamental millet. Last year I decided I was finally going to learn how to grow a proper vegetable garden. I’m not new to either vegetables or to gardening—in fact, in my daily life I could be mistaken as somewhat of a “plant expert” where I work, as a visual merchandiser at a garden center. With a few plant ID classes and a lot of time around nurseries under my belt, I can answer questions about plant illnesses and rattle off botanical names with the best of the plant nerds—but behind this image of horticultural prowess lurks a shameful secret: I can’t grow a decent tomato to save my life. One year when my finances were especially lean, my dad suggested I garden to supplement my food budget. 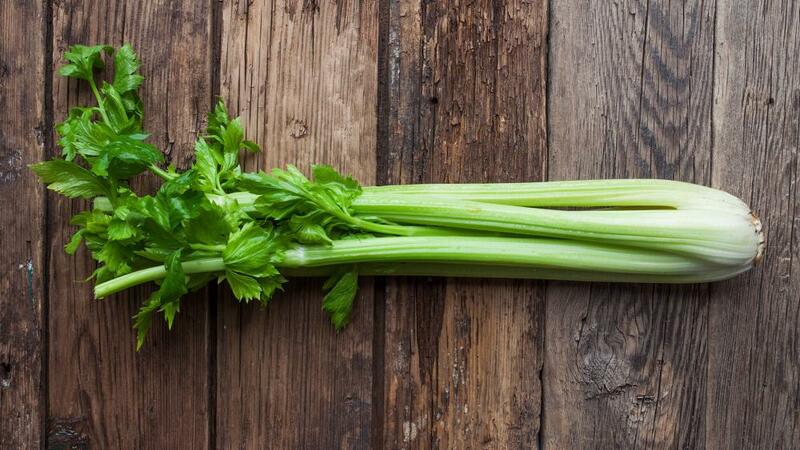 “Can’t you grow some vegetables and reduce your grocery bill that way? Any little bit helps,” he reminded me. I hesitated. The truth is, each year I do put a tomato plant or two in the ground, along with a casual sprinkling of fertilizer in May or June (or sometimes, as late as a relaxed early July). After watering a few times I then completely abandon them; from this routine I consistently earn a small handful of desperate tiny cherry tomatoes that arrive sporadically throughout August and September—even if their variety was supposed to be a “Roma” or “Slicer” type of tomato, all tomatoes are rendered equally forsaken and puny in my garden. Any basil planted goes straight to the bugs, while the rosemary and thyme never realize their culinary ambitions and remain purely ornamental. I will, however, get to eat a strawberry here and there—should the plants manage to produce a crop on the outskirts of the veggie bed, where it honestly gets dry as a desert precipice by July, and should I remember to get to them before the slugs. “I don’t think I can grow enough produce at my place to really make a dent in the grocery bill,” I responded to my dad vaguely. You see, he grew up on a farm in Ohio and is an organic and non-GMO food advocate. Growing produce is a family tradition—and profession, as my great-grandfather was an agricultural scientist who contributed to the development of modern hydroponic gardening and even wrote a book called The Vegetable Encyclopedia and Gardener’s Guide. Under this weighty mantle of familial inheritance, it’s always been hard for me to admit to my dad that I’m such a slacker when it comes to veggies. 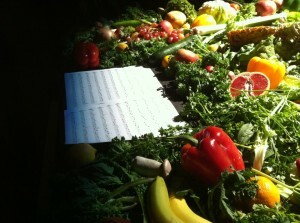 ‘Natura Morta’ by Walter Marcetti, installation at Yale Union. This lack of agricultural prowess makes me not only a black sheep in the family but also an exception amongst the neo-homesteading culture that is especially prevalent—and political—in Portland, Oregon. 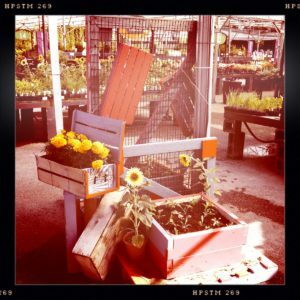 Come Spring each year the air is thick with aspirations towards a sustainable and virtuous Mason jar and apple crate-decorated lifestyle. Everyone here seems to keep chickens for eggs and bees for honey, plus runs their own home canning operation and maintains at least a few raised beds and fruit trees—everyone except me, that is. 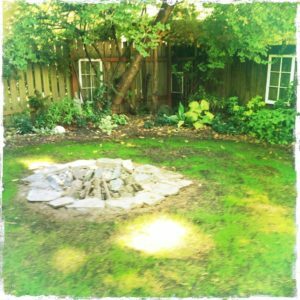 One year my friend Kirsten asked me about my plans for the garden at my then-home. Kirsten then lived on a yurt at a Community Supported Agriculture farm with her husband, Shaun. Far more economical and resourceful with nature’s offerings than most people would ever aspire to be, when Kirsten and Shaun see roadkill they are often known to pull over to pick up the carcass and render hides for fashioning new boots or hats. “What kind of crops are you going to plant this year?” Kirsten asked—not whether I would plant them, but which kind. “What ‘other stuff’?” Kirsten asked, perplexed. As much as she couldn’t fathom what else a person would dig in the dirt for, I didn’t even know where to begin. I grow plants for their beauty, not for any practical purpose that would serve me or other humans. Actually, simply being in nature is proven to improve health and quality of life, of course. Beyond that, appreciation of nature and the perception of beauty helps us stay connected with the rhythm of life and the universe. I wouldn’t dare take this on as a platform against a sustainability advocate (especially not one from Portland, or my dad for that matter), but I have always enjoyed the quiet ethos of growing plants to feed my soul—rather than my gut. There’s the shade bed along the perimeter of the back garden where grows a Hosta that’s now nearly as big as I am; the bamboo-filled containers, potted heliotrope and geraniums on the patio; the hot sunny bed along the side of the house with New Zealand and Mediterranean plants, and then the front North-facing bed where fuchsias, conifers, and Cyclamen battle some tremendously tough and fertile weeds that I spend much of each summer making futile (but at least, poison-free) efforts to eradicate. 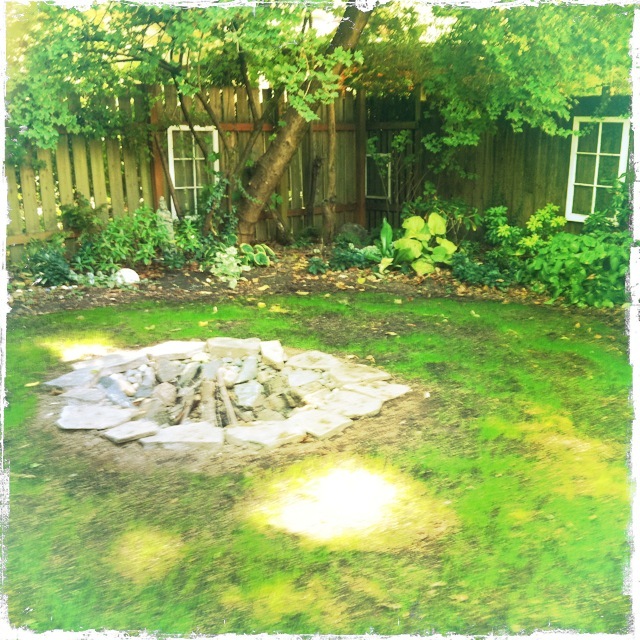 Evidence that I can, in fact, make some green things grow. To be fair, my plants are not grown solely for pleasure; they also serve as green (or mottled or purple or striped) markers of my life and reminders of the people in it. I look at the hydrangea and hope my friend José comes to town while it’s flowering this year, because it’s his favorite shrub and he always likes to take a bouquet to his mother on his visits from New Orleans. I keep an eye on the soil beneath the mimosa tree, looking for signs of the flower seeds I scattered last year as a memorial to commemorate Nonnie, my maternal grandmother, and her love of flower gardening. A few of the plants in my yard were planted by former roommates, or by the squirrels and birds who like to rearrange things a bit each year. Others came from cuttings of the many species I planted at my mom’s house before I had a place of my own—most of which originally came from the free pile at the nursery where I worked back then. Much of the rest of the garden came from friends whose homes foreclosed in the dark years between 2009 and 2011; more than once I attended a work party at friends’ foreclosed homes, and like horticultural rescue teams, with shovels and buckets and nursery pots, we furtively dug up long-established plants as carefully and quickly as possible. “I can walk away from the house and the man just fine,” my friend Jillian lamented, “but the Hellebores! I can’t leave my Hellebores!” Her only comfort was that at least her beloved plant friends would grow on in the gardens of people whose homes she visited often. And each year, her purple hellebore comes into bloom in my shade bed, a symbol of survival and new beginnings. What we innocently call “vegetable gardening,” then, is only ritual plant murder. I wouldn’t tell that to a permaculture activist, but maybe that is part of my block around nurturing my peppers and squash along to term—because I know I’ll only have to kill them. Like many a city kid, somewhere in my psyche there probably lurks a Pollyanna version of nature, where humans and plants and animals all live alongside one another in a nonviolent, picturesque tableau. Still, I admire the knowledge and economic efficiency of the neo-homesteaders. And it stands to reason that if I can maintain an entire landscape of perennial and hardy plants, I should be able to grow at least some of my own food, right? That’s why I don’t want to give up yet, even though my track record is poor. My last hope, it seems, to address this gardening handicap is to hop on the “edibles are beautiful” trend that is hot in the gardening magazines lately. This is a gardening trend that I could really get behind. If the aesthete in me can be retrained to experience the scratchy leaves of tomatoes and the crowded faces of marigolds as “beautiful,” perhaps I can be lured to tend them more consistently. I’ll have to keep the end-of-season killing time, aka “the harvest,” out of mind. To experiment with this new approach, instead of torturing anew that same 4’ x 6’ plot of land, last year at the garden center I had the idea to build an employee community vegetable garden. 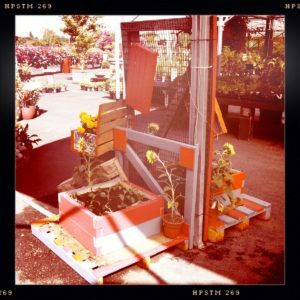 The idea was the garden would provide food for the staff while demonstrating that edible gardening can be done in a small amount of space, and that is can be just as visually appealing as an ornamental bed. For the sake of my gardening self-image, and for the survival of the plants going into these beds, I really hoped this would all be proven true–and the fact that the beds were to be a shared responsibility boded well for our collective success. But what ended up happening was the clearing out of the area where the beds were going to be kept took way longer than anticipated, and the beds were never in fact built. I scaled back my ambitions to simply two small raised beds built onto a pallet, which could be moved around as needed throughout the season. And move them around we did–or rather, out of the way–as by late August there was only a scraggly, desperate-looking bunch of onions outcompeted by an aggressive mint-like thing. And that was that. This year–every spring is a new beginning, a second chance, right?–I have scaled back my ambitions even further, and my only nod to the idea of urban farming is one medium-sized focal point display situated between the fruits. Provided the plants are watered regularly, this approach should be pretty bulletproof, as none of the plants are actually planted, they’re just in containers–which could be sold and taken home to a loving family at any time–and the entire set-up is entirely temporary. I admit to nursing dreams of living on a farm someday, and having the know-how to participate in it like a true earth mother. But for now, I will stick to making things look pretty and buying my produce on sale.